Why Is Addiction a “Family Disease”? Addiction is a pervasive condition with an impact that reaches far beyond the addicted person. The mental, physical, and social health effects of addiction can extend to people that have never used a drug or consumed a sip of alcohol. Truly, no one is immune to the reach of addiction, especially the family members of an addicted person. 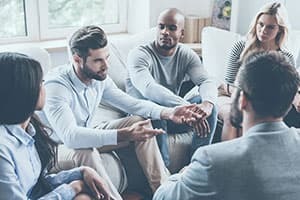 When you are part of a family, every decision one person makes influences the other members in direct and indirect ways.1 When one family member struggles with addiction, the condition can negatively affect all members of the family system by putting them in a state of heightened stress and anxiety. Feelings of guilt, responsibility, confusion, anger, sadness, and more can trouble the entire family and lead to increased conflict, isolation, and dysfunction. Risky sexual behavior and promiscuity. Physical health issues resulting from an intense focus on the person using substances rather than your own needs. Financial issues stemming from supporting a loved one’s habit, having been stolen from, paying legal fees, and having financial resources needed for housing, utilities, and nutrition being spent on drugs and/or alcohol. Impaired relationships in the future. Increased likelihood of abusing substances themselves. Negativity in communication. With many complaints and criticism, your communication can be harsh and encourage conflict in relationships. Inconsistent rule-setting. You might have problems with boundary- and limit-setting, and exhibit poor follow-through when lines are crossed. Misguided expectations. Your beliefs about and expectations of your loved one and their condition may be off-base and cause you to be perpetually disappointed. Misdirected anger. Feelings about your loved one’s addiction may be inappropriately expressed towards others. Self-medication. You, yourself, may eventually use substances to manage the stress that is growing from the family member’s addiction. You may attempt to cope or keep the peace by ignoring all warning signs and acting as if nothing is wrong. NOTE: Unhealthy family dynamics don’t always develop in response to substance abuse issues. In some cases, problematic existing family dynamics may first contribute to or worsen a family member’s drug use. Two of the more serious maladaptive interactive patterns to develop in the face of family addiction are codependency and enabling. Appear very controlling because they do not trust their family member. Seem overly flexible to avoid anger and rejection. Have oversensitive reactions to problems. Stay loyal and dependent on the person no matter what. Enabling. 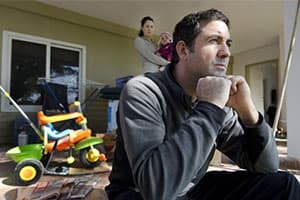 The state of constantly working to protect the family member from the natural consequences of substance use.1 By making excuses, bailing their loved one out of jail, paying for legal fees, and otherwise staving off negative consequences, an enabler prevents the family member from experiencing the true cost of their addiction firsthand. Due to the inconsistency, unreliability, and lying involved with addiction, just one member of the family system can upset the entire balance.1 With time, the addiction will cause other family relationships to deteriorate as disagreements and differences in coping skills drive people apart. Imagine a family with an addicted child, an enabling mother, and a father with misdirected anger. In this situation, the father could take out his anger on the mother for enabling rather than being upset with his child. The conflict adds stress and tension to their marriage. Negativity or self-medication in other family members could further dissolve even the closest relationships. Stigmas are prejudices placed against a group and are often fueled by misinformation.3 Addiction can result in stigmas being placed on you and your family from others. Perpetuate stereotypes, discrimination, and hurtful attitudes. Keep people from entering treatment. Encourage isolation and disconnection from supports. Stigmas can come from others, but you can stigmatize yourself by blaming yourself for the current substance abuse. By thinking family addiction is a shameful secret that must be hidden, you maintain the stigma. This thinking is problematic for you and your family as it can lead to enabling, codependency, and other unhealthy patterns. Since stigmas are based on false information, stay focused on accurate information by reading reliable sources and speaking to experts in the field. Truth and acceptance are needed to combat stigma. If addiction is a family disease, it is unreasonable to place all of the responsibility on the individual using substances to repair the family unit. One person cannot repair the far-reaching damage caused by the addiction. To begin healing, each member must start with appropriate self-care. Self-care is any process focused on improving your mental, physical, or social health. Requesting and accepting help from others when you need it. Spending time participating in activities you like with people you care about. Structuring your days with routines and goals. Prioritizing your physical health by getting plenty of rest, eating quality foods, and devoting time to exercise. Exploring new ways to find relaxation and acceptance of your situation. Focusing on what you are grateful for. These groups are valuable resources that offer understanding and support for those who feel like they are buckling under the weight of a family member’s addiction. If these self-care and self-help options do little to improve your overall well-being, you may benefit from professional treatment. Professional mental health and addiction treatments can boost your communication skills while lowering your anxiety and depression. Individual therapy – meeting one-on-one with a therapist to address your stresses and coping skills. Group therapy – meeting with other individuals and a therapist to learn ways to manage a shared concern. 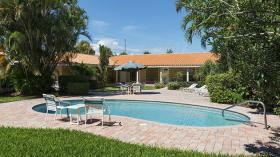 Family therapy – meeting with a therapist and at least one other family member to resolve lingering conflicts. One treatment specializing in aiding family members of people abusing substances is called Community Reinforcement and Family Training (CRAFT). CRAFT takes the family member through a multistep program that reduces unhealthy patterns, increases self-care, and adds new coping skills while emphasizing problem-solving and safety.7 CRAFT offers flexibility, as it can be utilized with or without the addicted person. Families affected by addiction frequently look for ways to encourage sobriety and treatment for their loved one. The methods used can vary greatly depending on family style, patience, and risk to their loved one. Interventions. Made famous on television, interventions use confrontation and pressure from family, friends, and other loved ones to convince a family member to commit to treatment. Though interventions can spark motivation for change, they can also trigger anger and aggression, so caution and the aid of a professional are encouraged if you try this route. CRAFT. This method involves a component focused on encouraging your loved one to begin treatment. Rather than using confrontation, the CRAFT approach teaches you to spot and target situations where the loved one is more apt to accept treatment. When the opportunity presents, you can use the communication skills learned to persuade them towards treatment. It is important to remember that taking too much responsibility for the behavior of others – including family members – puts you in a difficult position. Ultimately, the individual is responsible for their choices, but you can always offer assistance when appropriate. If you are impacted by the burden of substance use, investigate treatment options for yourself and your loved one. Addiction is a family problem, and it takes a team to repair the damage. Lander, L., Howsare, J., & Byrne, M. (2013). The Impact of Substance Use Disorders on Families and Children: From Theory to Practice. Social Work in Public Health, 28(0), 194–205. Substance Abuse and Mental Health Services Administration. (2005). Substance Abuse Treatment and Family Therapy. Substance Abuse and Mental Health Services Administration. (2016). Words Matter. Office on Women’s Health (2017). Caregiver Stress. Substance Abuse and Mental Health Services Administration. (2016). Treatments for Substance Use Disorders. Kirby, K. C., Versek, B., Kerwin, M. E., Meyers, K., Benishek, L. A., Bresani, E. (2015). Developing Community Reinforcement and Family Training (CRAFT) for Parents of Treatment-Resistant Adolescents. Journal of Child & Adolescent Substance Abuse, 24(3), 155–165.